How to Make an Origami Elforia Letterfold! 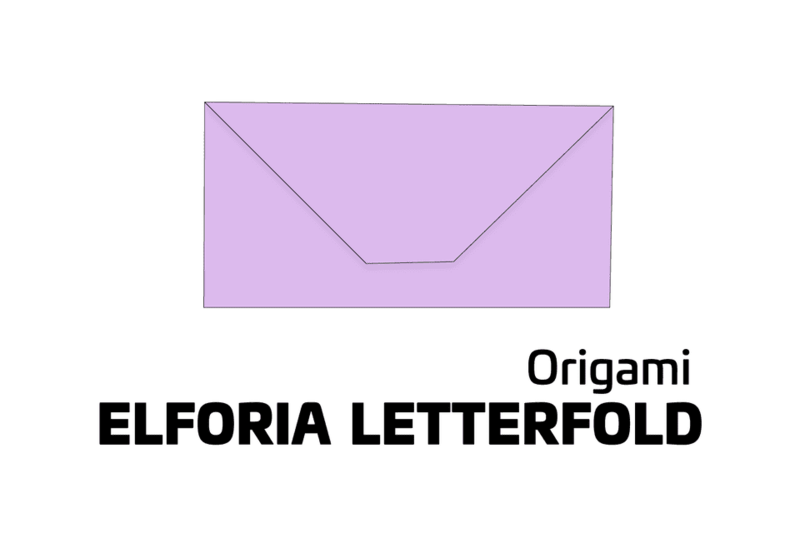 Learn how to make an Origami 'Elforia' Letterfold or Envelope, this is super easy and quick to make and is useful if you don't have an envelope on hand! This origami envelope is made with rectangular paper rather than the usual square paper. You can use any size, a great size to use would be A4 or letter paper, basically standard printer paper is perfect! This easy origami envelope is great to know how to make, just in case you need to leave a note somewhere, and don't carry envelopes, you are more likely to be able to get some kind of paper, even if it's a leaflet or even a paper napkin! The name of this origami letterfold is 'Elforia' - it is unclear where the name came from. Are you making a handmade gift? If so, why not make a pretty origami bow to decorate it? It's quite easy to make, you can find the tutorial for a nice one here. Start with your rectangular paper with the longest edge along the bottom. And start with the white side (if you have one) facing up. Fold the paper in half, from right to left, making a crease in the center. And then unfold. You now have a central crease, you want to make this crease quite faint so that it isn't too noticeable when it's complete. Fold the bottom left and right corners up and in to meet the central crease. Fold well. Helpful tip: Make the first few creases of your origami models, as exact as you can! This will ensure the best result in the end. Fold the left and right edges into the middle and fold well. Next, concentrate on the lower section. Unfold the lower section, opening out the left and right flaps up and out. Go to the next step to see what you should end up with. Here you can see that you need to push the center of the bottom section up whilst pulling the sides out. Align the flaps with the outer edges and flatten well. Next, concentrate on the top section, fold the right and left top corners inwards. Now you can fold the top section down on top of the bottom section! The origami Elforia envelope is now complete. Tip: The first time you fold an origami model, it will always look better the second time around. You can also fold the flap inside the lower section, securing whatever is inside.